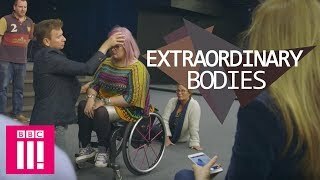 Can a faith healer really cure Emily Yates of cerebral palsy and make her walk again? -- Click here to subscribe to BBC Three: http://bit.ly/BBC-Three-Subscribe Did you know that we’re up to other things in other places too? Best of BBC Three: www.bbc.co.uk/bbcthree iPlayer: http://www.bbc.co.uk/tv/bbcthree Twitter: http://www.twitter.com/bbcthree Facebook: http://www.facebook.com/bbcthree Instagram: http://instagram.com/bbcthree Tumblr: http://bbcthree.tumblr.com Oh, we’re on Snapchat too - just incase you were wondering… add us, bbcthree.